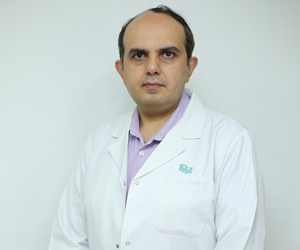 Dr. Saket Miglani is a Dentist and Prosthodontist, Chennai and has an experience of 15 years in these fields. He completed BDS from The Tamil Nadu Dr. M.G.R. Medical University (TNMGRMU) in 1999 and MDS – Prosthodontics from The Tamil Nadu Dr. M.G.R. Medical University (TNMGRMU) in 2003. He is a member of Indian Dental Association. Some of the services provided by the doctor are: Zirconia Crowns and bridges, full mouth rehabilitation, implants .